Microsoft is the online companion to Office Word, Excel, PowerPoint and OneNote applications which enables users to access, view and edit documents online across personal computer, mobile phones and the Web. 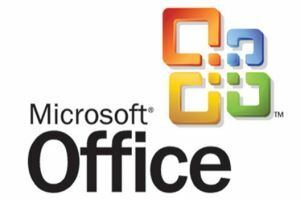 The Office Web Apps is available to users through Windows Live and to business customers with Microsoft Office 2010 volume licensing and document management solutions based on Microsoft SharePoint 2010 Products. In order to encourage more IT professionals in exploring how to use Microsoft Office Web Apps on Microsoft SharePoint 2010 Products in an organization, Microsoft is now giving away “Guide for IT Pros for Microsoft Office Web Apps” digital e-book in DOC, PDF and XPS format. The “Guide for IT Pros for Microsoft Office Web Apps” e-book is aimed to IT professionals who use Microsoft Office Web Apps on Microsoft SharePoint 2010 Products in an organization. The content in this book is a copy of the selected content in the Office Web Apps technical library. Understanding Office Web Apps (Installed on SharePoint 2010 Products). Planning Office Web Apps (Installed on SharePoint 2010 Products). Deploy Office Web Apps (Installed on SharePoint 2010 Products). Understanding Broadcast Slide Show (Office Web Apps). Planning Broadcast Slide Show (Office Web Apps). Configure a Broadcast site (Office Web Apps). Configure Broadcast Slide Show performance (Office Web Apps). Configure Group Policy settings (Broadcast Slide Show). Manage Office Web Apps (Installed on SharePoint 2010 Products). Activate the Office Web Apps Feature on site collections. Manage the Office Web Apps cache. Configure the default open behavior for browser-enabled documents (Office Web Apps). Configure PowerPoint service application settings. Configure Word Viewing service settings. Configure Excel Services Application settings (Office Web Apps). Technical reference (Office Web Apps). Windows PowerShell for Office Web Apps. SharePoint 2010 Products administration by using Windows PowerShell. Windows PowerShell for Office Web Apps reference. Excel Web App cmdlets (Office Web Apps). System Center Operations Manager knowledge articles (Office Web Apps).